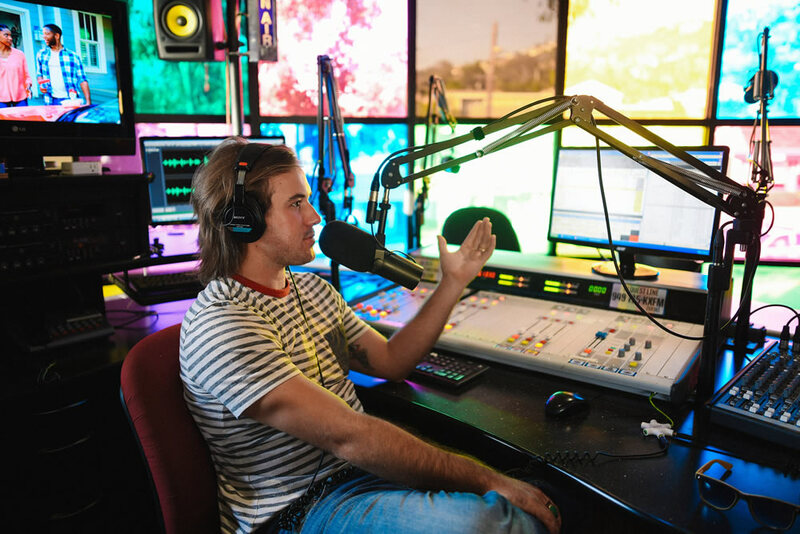 DJ Zach Churchill hosts KX 93.5’s morning show. Afternoon DJ Zach Churchill will be the primary host of KX 93.5’s “Daily Scramble Live” on weekday mornings from 7 a.m. to noon. He will be joined by others on the staff, including general manager Tyler Russell, music director Steph Weaver-Weinberg, development director Monica Silva and promotions director Tommy Benson. Churchill succeeds Jason Feddy, the “Daily Scramble Live” co-host, who resigned to pursue other opportunities, Russell said in a statement. Russell will host weekday afternoons from noon to 5 p.m., which will focus on music and community, with new band introductions and daily Laguna Beach news and information, including weather, traffic, surf and events. KX 93.5 has also begun “March Music Madness,” where the station won’t repeat a single song for the entire month to further its mission of music discovery and appreciation. The South Laguna Civic Association annual meeting at the Ranch connects visitors with the town’s heritage. 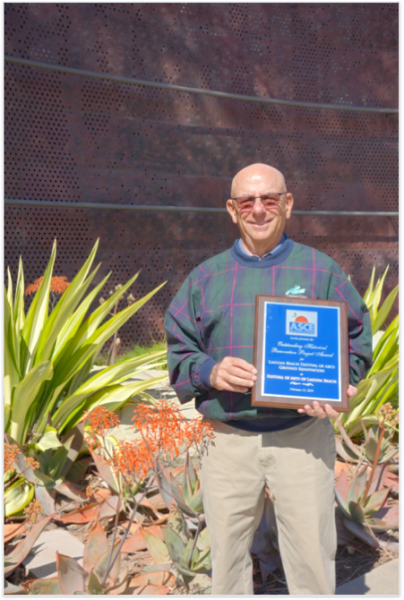 The meeting Thursday, March 15, gets underway with a 6:15 reception and includes a 7 p.m. presentation about the successful bid to win National Park Service recognition for Laguna Beach and the Greenbelt as a Historic American Landscape. “We will hear from the committee that prepared the application to the National Park Service including chair Ron Chilcote, editor Barbara Metzger, photographer Tom Lamb, art historian Eric Jessen, greenbelt historian Harry Huggins, landscape architects Ann Christoph and Bob Borthwick, and photographer Mark Chamberlain,” SCLA president Greg O’Loughlin said. Visit the native plant nursery from 8-11 a.m. on Saturday, March 10, in Laguna Coast Wilderness Park, 18751 Laguna Canyon Rd. Volunteers may work with seeds and seedling in the nursery and gain hands-on experience with habitat restoration. Meet at Willow Canyon staging area and get a free parking pass. Youth ages 16 and 17 are eligible to volunteer with parent permission. The same day, hikers ages 12 and up can lean about native plants from 8:30-10:30 a.m. on a 2.5 mile hike with a Laguna Canyon Foundation volunteer at the James Dilley Preserve, 18751 Laguna Canyon Rd. Parking is $3. A geology hike for ages 15 and up, from 1:30-4:30, follows the native plant hike also at Dilley on Saturday, March 10. Hiking poles suggested, bring water. Learn about uses of California native plants for food, tools and building materials, during the pre-mission period on a two-mile hike (490-ft. elevation gain) suitable for ages 12 and up, over steep and uneven terrain from 8:30-11 a.m. on Tuesday, March 13 at the James Dilley Preserve, 18751 Laguna Canyon Rd. Parking is $3. Online reservations for each outing is required. Former board president Fred Sattler cut the ribbon last July on the newly renovated grounds. The 10-month, multi-million-dollar makeover of the Festival of Arts’ grounds in 2017 received the outstanding historical renovation award from the American Society of Civil Engineers. Bauer Architects with civil engineer Fuscoe Engineering and landscape architect Spurlock Poirier brought the project off. The facility that opened in 1932 was last remodeled in 1964. The renovation met accessibility standards and incorporated progressive sustainability features. New elements include a tensile roof pavilion that shelters artwork from weather, a green lawn for picnics and concerts, expanded retail space and a relocated junior art exhibit space. Police and hospital emergency personnel meet neighbors for coffee and donuts Saturday, March 10, from 8 to 11 a.m. Mission Hospital Laguna Beach, 31872 Coast Highway. The event is an opportunity for the public to get to know emergency personnel in their community by meeting representatives from Mission Hospital, police, fire and lifeguard departments and Doctors Ambulance. Visitors can take part in whale watching, sand sculpting, live music, an art exhibit and hands-on activities during the second weekend of the Dana Point Festival of Whales in Dana Point Harbor March 10-11. Entry is free to the 8 a.m. to 4 p.m. event. Parking will be available in lots throughout the harbor, serviced by free shuttles. A $5 per person water taxi between the wharf and the Ocean Institute runs from 12 to 5 p.m.